under our mutual contract to deliver your products and services, and to fulfil our legal obligations under taxation law. We will only send you marketing emails if you have given your consent for this, or you have purchased a similar product or service from us in the past. If you are a consumer, a sole trader or representing a partnership and do not provide the Personal Data we need to fulfill the contract for the goods or services you have asked us to provide, or do not provide the Personal Data we need to meet our legal obligations, we will be unable to proceed with the order you have placed with us. Please contact us at privacy@rugbyfirst.org if you want to opt-out of direct marketing. If you have given your consent to receive marketing emails from us, you can withdraw this by contacting us at privacy@rugbyfirst.org. Where one or more of your telephone numbers are registered with the TPS or CTPS, you can withdraw your consent for us to market to you by phone by letting us know at privacy@rugbyfirst.org. 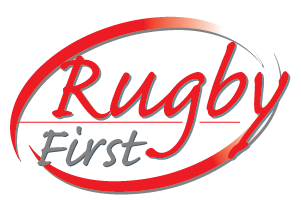 You can also opt out of our processing of your Linked profile; please contact us at privacy@rugbyfirst.org if you want to do this. We will use your Personal Data to communicate with you regarding the products and services we supply to your organisation. for up to seven years after you last purchased a product or service from us.